Source: A general plan of Annapolis Royal survey’d by Capt. John Hamilton in the year 1753. Library and Archives Canada, NMC 18312, MIKAN 4128803. Though this map was made four decades after the British captured the French capital of Acadie, much remained the same until the Acadian deportation. This map focuses on the area immediately around the French fort. 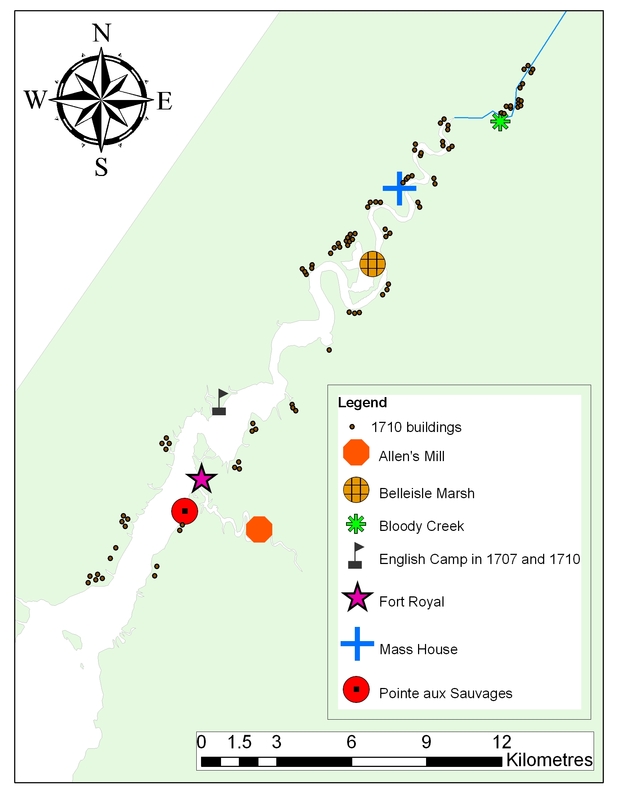 Acadian settlements in the region however, stretched kilometres upriver. The map below is a composite map that represents these settlements well. 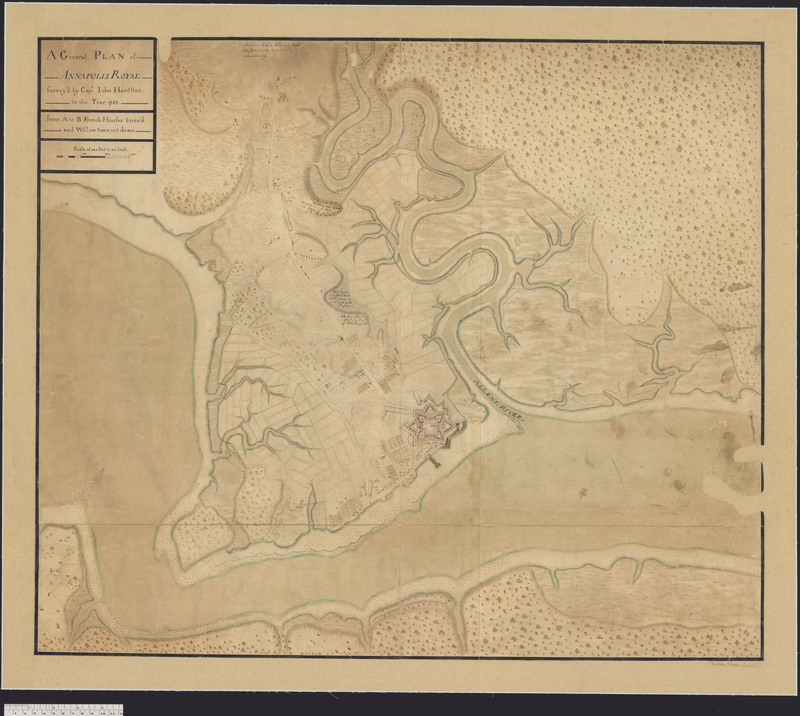 Document 3: A General Plan of Annapolis Royal, 1753 by Sean Kheraj and Tom Peace is licensed under a Creative Commons Attribution-NonCommercial-ShareAlike 4.0 International License, except where otherwise noted.